Slowly, but surely, the hurricane proof cat shelter is taking shape.Â As luck would have it, the Acadiana area experienced two hurricanes within two weeks apart in early September of 2008. Since the shelter was not 100% finished, we all scrambled to make sure every foster animal and ourselves were as safe as we could possibly be. We are happy to report that the outer shell of the shelter withstood the winds and rainsqualls quite well. These recent experiences served to emphasis the urgency in which we need to complete the shelter before the next hurricane season. 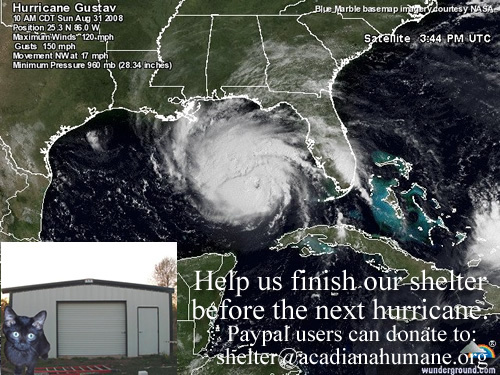 We really would like to finish the shelter before the 2009 hurricane season starts! 2. One (1) window AC & Heater unit for the Quarantine room, 6ft x 6ft. 10. Drywall/sheet rock to cover three (3) rooms, the Office 6ft. x 24ft., the Storage room 10ft. x 15ft., and the washroom 6ft. x 6ft. 11. 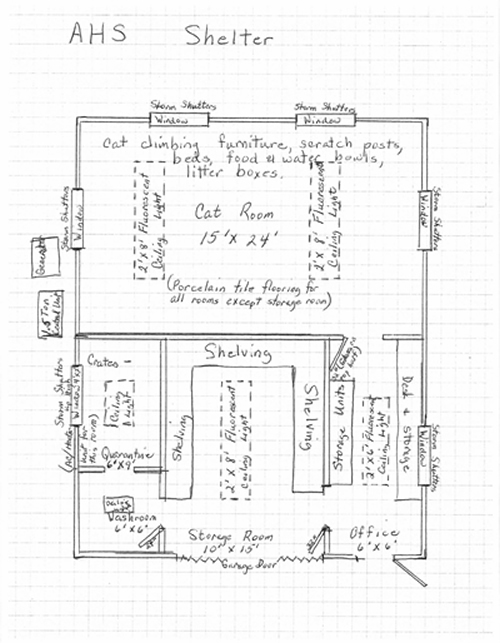 Porcelain flooring for the Cat Room 15 ft. x 24ft., the Office 6ft. x 15ft., the Washroom 6ft. x 6ft., and the Quarantine Room 6ft. x 9ft. 24. Cleaning supplies, bleach, mops, etc. 27. One (1) refrigerator for storing medicine, formula, etc. 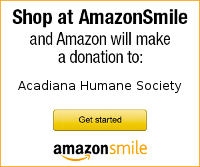 All donations are tax deductible and we accept donations via Paypal, check, or money order. We also welcome any volunteers with experience in electricity, plumbing, carpentry, or construction to help us with finishing the shelter. For further info about the hurricane shelter, please email ahspets@gmail.com or call (337) 371-5477 and ask us. Until completed, our shelter is not open to the public.